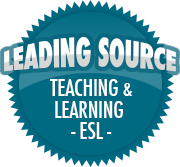 Every Teacher Needs Some Appreciation and Inspiration | So, You Think You Can Teach ESL? It’s very easy to get bogged down with the negative aspects of teaching. From parent complaints to administrative concerns, a lot of teachers feel underappreciated (or just unappreciated). I know I feel that way sometimes. May they inspire you and help you feel like YOU MATTER to your students, as well as to your fellow teachers and staff!